For theatre or Studio, L’AIR’s own professional dance vinyl is the finest, most durable dance vinyl available – engineered with the same dedication to purpose and quality as our suspended sprung flooring. L’AIR dance vinyl is designed for years of service without the typical bubbling, buckling, and wrinkles associated with lesser quality products. Dance vinyl is suitable for permanent or semi-permanent installation and ideal for ballet, jazz, tap, modern and general stage use. For temporary theatre and touring installations of dance vinyl, a specialized transport is available from L’AIR. Engineered and manufactured exclusively by L’AIR, these industrial grade transports feature a heavy-duty powder coated steel frame, six-inch industrial grade casters and can accommodate six rolls of dance vinyl. Our dance vinyl transports can easily be loaded/offloaded by forklift, shipped in sea containers, tractor-trailers, or aircraft cargo. For in-house storage, the dance vinyl transports are designed to be stacked. 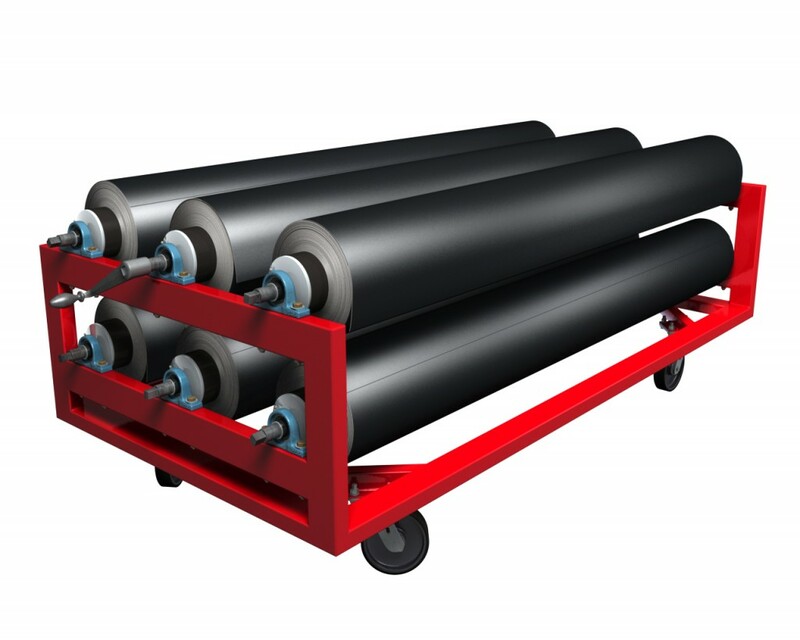 Our standard dance vinyl transport is originally designed for use with L’AIR professional dance vinyl, however this portable unit will accommodate any other dance vinyl roll up to 6’-0”W x 60’-0 L and 260 lbs. per roll. L’AIR dance vinyl transports are available as a separate purchase item and priced accordingly upon request.